The Livelihoods India Summit was organised by Access Development Services on January 28th and 29th 2018 at Hotel Le Meridian, New Delhi. The annual summit aims to facilitate dialogue on improving the livelihoods of the poor and building consensus on sustainable solutions.CARE India was a technical partner of the summit. The ninth edition of the event was co-hosted by the Indian government’s National Institute for Transforming India (NITI) Aayog. The summit themes included: (1) Capacitating Women: Enabling them for Entrepreneurship; (2) A Dialogue on Value Addition in Agri-Value Chains between the Private and Public Sectors; (3) Infusion of Technologies in Agriculture – Key to Food Security & Farmer’s Welfare; (4) Social Innovation for Micro-Enterprise Driven Livelihood Security. A wide range of topics was discussed such as inclusive value chains, technology infusion for livelihoods enhancement, women enterprises, climate change impact on livelihoods and other themes influencing the poor. The sub initiatives include State of India’s Livelihoods Report (SOIL); Sitaram Rao Livelihoods India Case Study Competition. Around 500 delegates from the livelihoods sector including practitioners, policymakers, private sector, non-governmental organizations, donors, multilateral and bilateral organizations, academicians, researchers and other support organizations from within the country. Geeta Verma, Team Leader, Early Grade Reading, CARE India was a panellist at the summit. She emphasised on the need to engender and link skilling and education ecosystem. The Summit presents a unique experience for the participants from a diverse array of themes that are discussed in over 15 sessions across two days. 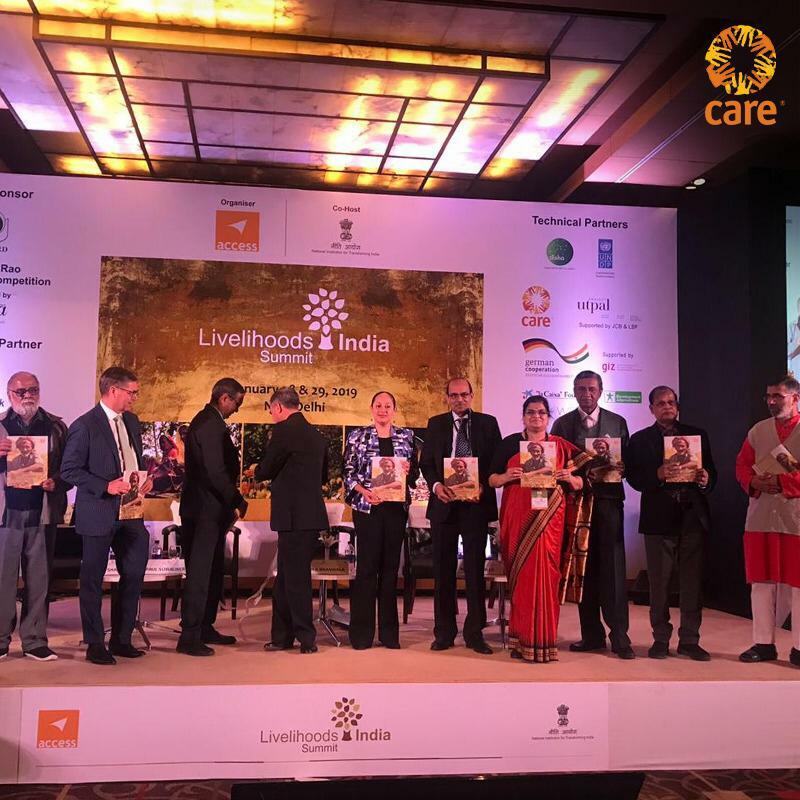 Experiences, case studies, issues and challenges from within the country are shared at the Livelihoods India Summit and over 70 thought-leaders, policymakers and practitioners are a part of the two-day deliberations.